I am trying to use UIPageViewController to create walkthrough screens with three separate UIViewControllers. As a summary, I have four View Controllers and a Page View Controller in my storyboard. One view controller act as base view (XYZViewController.h/m) and other three act as sub views that loads inside base view controller. 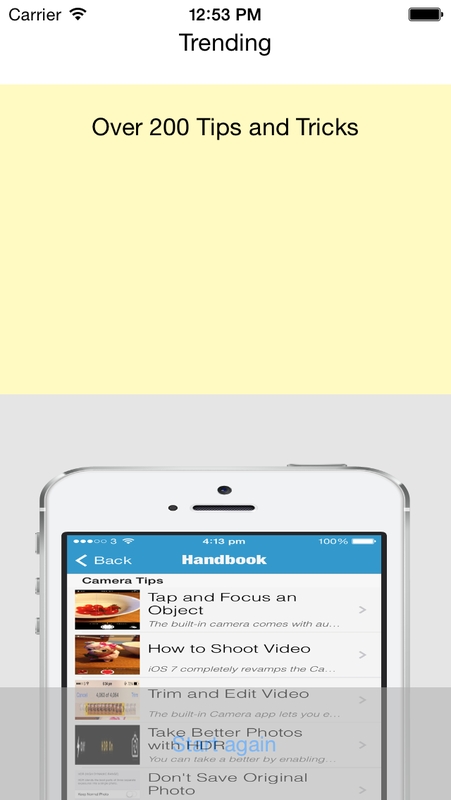 Below shows how the XYZViewController.h displays roughly. Actually, loading sub views and walkthrough is working perfectly. What is not working is, the button touch up inside event I have declared in base view. As you can see with the image, there is "Start again" button at the bottom of the screen. At first that view even didn't display when I set page controller view till bottom of the screen and not using z-index option. What I need is limit the page view controller where the gray view begins and available the sub view till end of the screen. I can limit the page view controller frame as mentioned above, then it is apply to my all walkthrough screens as well. What can I do for that? I have followed this tutorial. Is there any better way to do this? Keep comment below lines of codes. Not the answer you're looking for? Browse other questions tagged ios objective-c ios7 uiview uipageviewcontroller or ask your own question.